UNCOOKED and probably not even quarter baked was the reaction of Independent Councillor Joe Conway to proposals for the direct election of Mayors for Waterford, Cork and Limerick. On May 24 the people of Waterford will be asked — the same day as the local and European Elections — to either back or reject the proposal for the directly elected Mayor which would carry an annual salary of €130,000 and which would be as powerful as – if not more powerful – a Minister of State. Following the May 24 vote the matter will be discussed by the Citizens Assembly. If the plebiscite passes the first mayors could be elected in 2022. The mayors would have powers in housing, planning, roads and the corporate function of the council, and would replace the council chief executive in preparing policy in these areas. The mayor would also replace the CEO as the person responsible for ensuring all decisions of the elected council are lawful. The CEO – in Waterford’s case, Michael Walsh, would, however, retain powers to allocate social housing, grant licences or permits, and to deal with enforcement matters such as planning. The relationship between the two would be similar to that between a minister and the secretary general of a government department. While mayors will be elected for a five-year term and be allowed serve no more than two terms, the initial term will be for two-and-a-half years to allow for transfers of power. 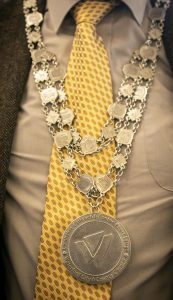 A mayor would have a deputy mayor, nominated by the mayor from the existing council but subject to approval by council vote. Since the idea was first mooted Tramore councillor, Joe Conway, has voiced his opposition to the creation of the post. His opposition is centred mainly around the cost involved which he feels would be better spent on areas such as housing. “My take on it is… it’s more about self-promotion than Waterford promotion, and smacks heavily of dilettantism. “The proposals are undercooked, probably not even quarter-baked. But – if you examine the rubrics of directly-elected Mayors in other areas of Europe – the unerring fundamental is that their success all depends on funding – in other words, it all comes down to dough! “There is much evidence to indicate that this will always be in short order in Irish local government,” he said. The council would have oversight of the mayor’s performance and would also have the power, in certain circumstances, to remove the mayor from the role. Mr Coveney said he plans to campaign for a yes vote to create the office of directly elected mayors.